Together we can announce the Merciful Savior. Today, we can be the hands and heart of Christ working miracles of love. ​Become a Godparent for starving children in Venezuela. 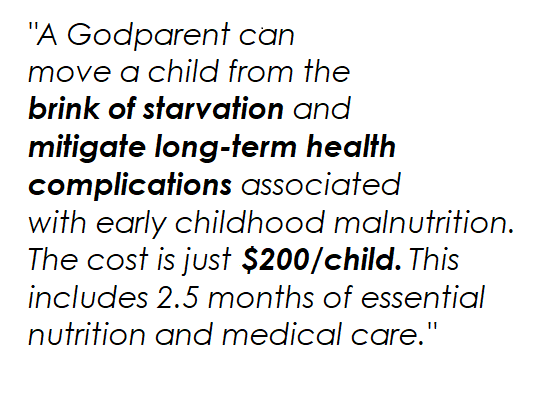 health complications associated with early childhood malnutrition. Do you need help? Allow us to pray with you. ​Leave your prayer request below. Contact us to request prayer or to join us in changing the world one person at a time.